A fundic examination is an important part of an ophthalmic examination, critical in the assessment of any vision changes, pupil abnormalities, or systemic disease. The fundus itself is a collective term describing all structures in the posterior portion of the globe that can be viewed with the ophthalmoscope. Although there are several instruments available, indirect ophthalmoscopy is the preferred method for examining the veterinary fundus, providing a larger field of view as compared to direct ophthalmoscopy. When interpreting a fundic examination, special attention is paid to reflectivity, pigmentation, size, color and whether a change is raised or depressed. No different than your physical examination, it is important to take a consistent and systematic approach to your fundic examination. Many animals can be examined in a dark room without dilation. If the pupils are too miotic for adequate examination, then you can dilate the pupils with one drop of 1% tropicamide. This should ideally be done 20 minutes prior to exam. Remember, the image seen on indirect fundic examination is upside down and backwards. For the procedure, you should be approximately at arm's length from the patient. The light source should be held at the right or left temple of examiner. Using the light source, identify a tapetal reflex. Once a tapetal reflex is observed, place the lens in front of animal's eye. The lens should be 4-6 cm in front of animal's cornea. The lens must remain perpendicular to light beam. If you lose the view of the fundus, take away the lens and find the tapetal reflex again before replacing the lens in front of the eye again. 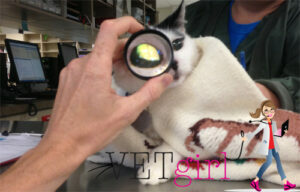 When performing a fundic examination, VetGirl uses a Volk 20D indirect lens. What should you expect when doing the examination? When examining the fundus, it is important to remember that the image you observe is a composite of a number of layers. In general, the fundus in dogs and cats can be divided into two regions; the non-tapetal fundus and the tapetal fundus. When observing the non-tapetal fundus, the optic disk and retinal blood vessels can be seen as the most anterior structures (i.e. closest to the observer). Unless pathology is present, the neurosensory retina is transparent, exposing the brown melanin of the retinal pigmented epithelium. If dense enough, this melanin will obscure the deeper layers, namely the vascular choroid and sclera. In the tapetal fundus, the choroid is modified to contain a highly-reflective anterior cellular layer, the tapetum. 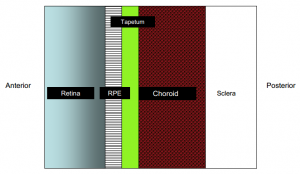 This layer is believed to act as a reflecting surface to enhance light stimulation of the retina. 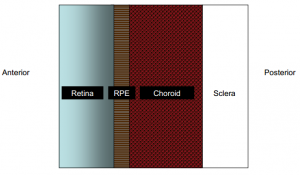 As a result, the retinal epithelium in this layer, while continuous with its pigmented counterpart, is void of melanin. Like any part of your examination, the more you see normals...the more you will recognize abnormals. So get those indirect lenses out of your pocket and into your hands! Perhaps this should be obvious, but is anesthesia required? 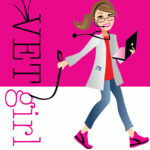 For a fundic examination, no – anesthesia (nor sedation) is required.